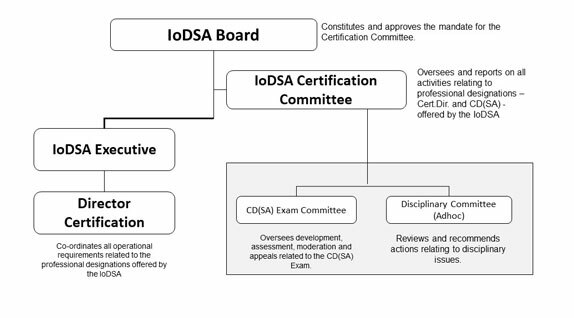 The Certification Committee, a committee of the IoDSA Board, oversees all matters relating to the Certification functions for both Certified Director and CD(SA)® designations. The CD(SA) Handbook 2019 contains all information pertaining to the CD(SA) professional designation. This includes entrance criteria and all the processes relating to the assessments to attain the designation as well as the requirements to maintain the designation. Calendar of Dates for activities held for CD(SA) members. This form is to be completed by individuals that were awarded the CD(SA) designation in 2016. The submission needs to be sent to Certification@iodsa.co.za by Thursday, 30 November 2018.